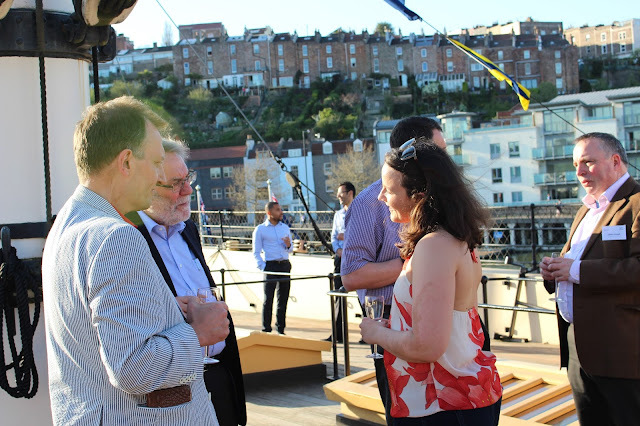 golden sunshine and intriguing discussions. Talks ranged from industry perspectives and future funding to solid state systems and quantum dots, as well as a poster session generously sponsored by KETS covering broad directions of academic research. 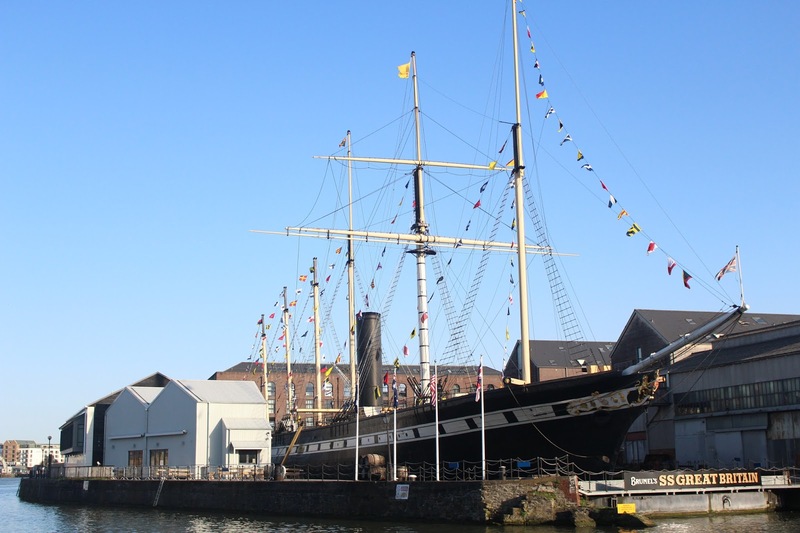 The morning proceedings began with talks on industry activity over the past year. 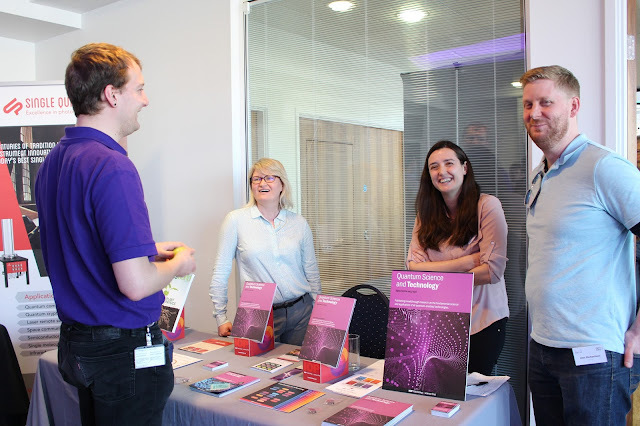 Andrew Collins from the University of Bristol's Quantum Technology and Enterprise Centre (QTEC) spoke about some of the highs and lows of quantum startups, busting some myths and ending with a call for people to take part in the upcoming Quantum Start Up Week this July. Next was Zurich Instruments' Jelena Trbovic, highlighting how their amplifiers and arbitrary waveform generators can be used for fast characterising and control of superconducting qubits. And before breaking for coffee, Luke Dandy & Cris Quintana from Airbus discussed the ongoing QDOS project, a £1.3million collaboration between Airbus, the University of Bristol, KETS and the University of Oxford, looking toward realising quantum key distribution with drones. Following coffee, the second session started with the University of Bristol's Mustafa Rampuri speaking about the Quantum Technology Innovation Centre (QTIC), a business accelerator to support quantum technologies leaving universities and entering the marketplace, with a pilot site opening this summer and the full facility in Q3 2021. 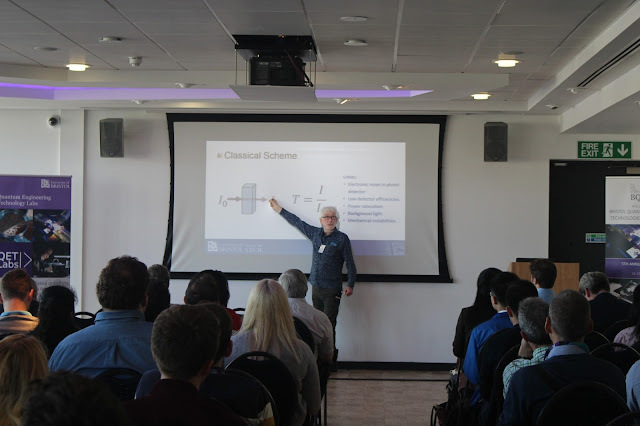 John Azariah, lead of the Q# development language at Microsoft, ended the morning by introducing the Quantum Development Kit and Q# language, highlighting several features including a built-in simulator of 35 qubits as well as a simulator on Microsoft Azure. After lunch, a more detailed interactive tutorial showed off more features of the Q# language, including an entanglement & teleportation demonstration as well as broader software engineering. Running parallel to this was the BQIT poster session, sponsored by KETS, where 18 researchers highlighted their recent work. 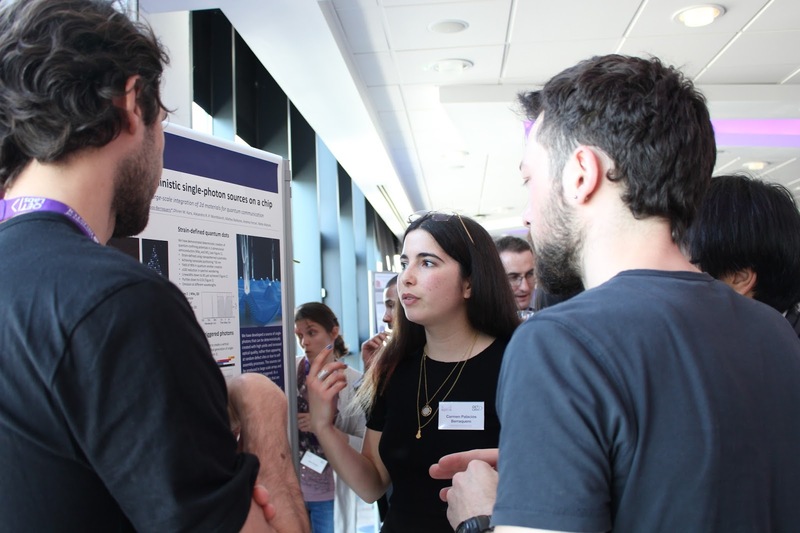 Of particular note is Carmen Palacios Berraquero from the University of Cambridge, who won the poster prize for her work on deterministic single photon sources on a chip. Stasja Stanisic and Felipe Ortiz-Huerta, both from the University of Bristol, walked away with honourable mentions for their posters. 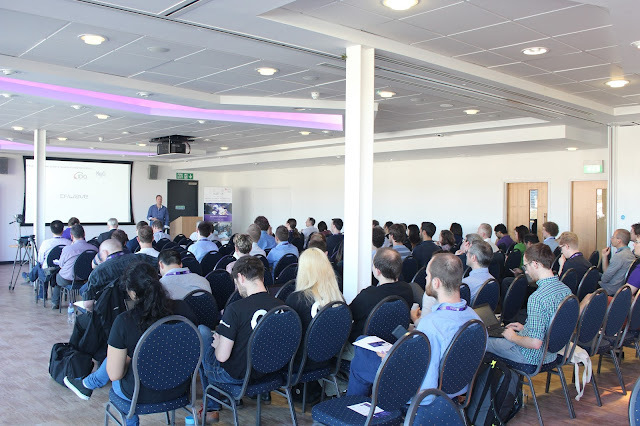 The afternoon proceedings began with Liam Blackwell from the Engineering and Physical Science Research Council, who discussed the current status of the UK National Quantum Technology Programme, as well as the proposal for Phase Two of the programme. 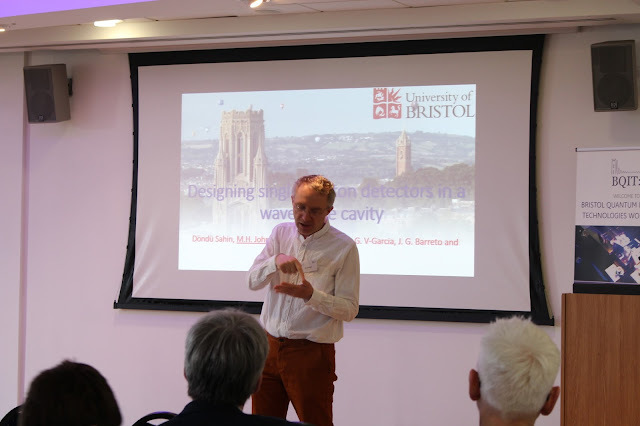 Niccolo Somaschi from the Center of Nanosciences and Nanotechnologies spinoff Quandela then led the discussion into solid state systems by presenting their products which use quantum dots as single photon sources. Quantum dots was the focus for the rest of the day's proceedings. Mete Atature from the University of Cambridge presented their group's work on developing networks of interconnected solid-state spins. University of Science and Technology China's Yuhao Deng showed off how quantum dots are used as single photon sources for Boson Sampling. And finally, Andrew Young from the University of Bristol gave a whistlestop tour of the current work and challenges in their lab. with drinks, dinner and a guided tour on board Isambard Kingdom Brunel's SS Great Britain. 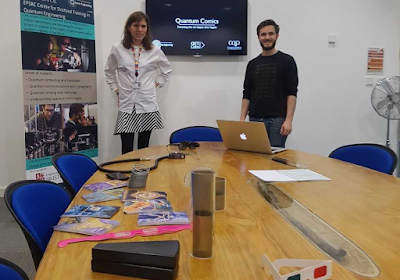 This year's BQIT blogs were written by QET Labs and Quantum Engineering CDT students Jeremy Adcock and Alex Moylett.